Boardroom to Ballroom is giving you one more reason to love Fridays. Today is the first “Friday Favorite” – where I’ll tell you about one of my favorite products – from beauty to fragrance to kitchen tools. 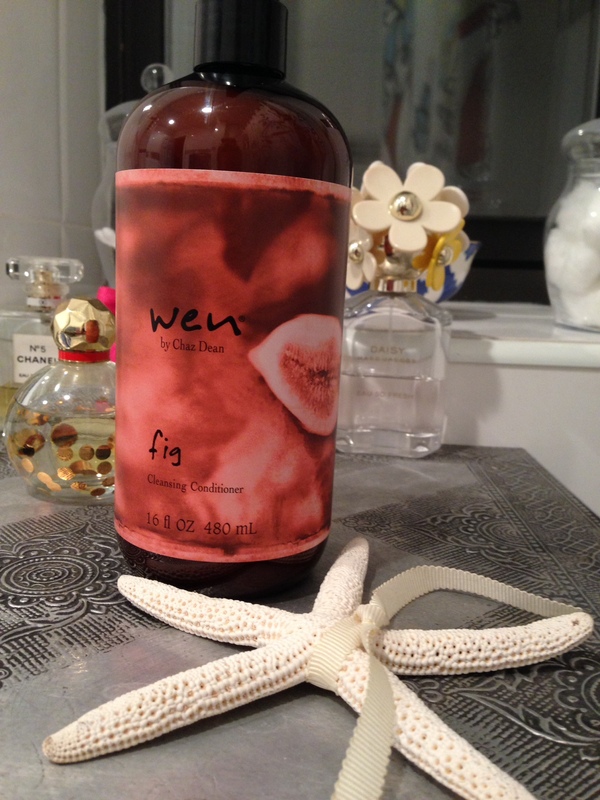 For the inaugural Friday Favorite post, I have chosen a relative newcomer to Sephora shelves and my shower shelf: Wen Cleansing Conditioner in Fig. I was introduced to this product by a dear family friend, Cindy. When she arrived at my parents’ annual Christmas Eve event looking like she had just stepped out of a salon, I just had to know what product(s) she was using. She told me that this Wen product had very nearly had a transformational effect on the way she viewed haircare. I tried a sample of the Cleansing Conditioner soon after. The product has absolutely no suds, so if you are like me (proudly sudsing since Johnson & Johnson baby shampoo), it may require a bit of a mental adjustment. Bare with it – even combing my hair after the first use, I was impressed. I purchased the full-size bottle, and have been using it for a month now. I still love the results: my hair is silkier, hydrated, and a breeze to comb though when its wet. The product is not overly-perfumed, but has a mild, natural fragrance. My usage: Generally, I wash my hair every other day. I start with John Freida Go Blonder shampoo, because I like the way it perks up my highlights. Instead of conditioner (or washing twice), I use Wen Cleansing Conditioner and rinse it out as the last step of my shower. On weekends, I’ll use Wen on its own. The other day, a woman stopped me in the pharmacy to ask, “What do you use to get your hair that shiny and straight?” I told her that my hair was naturally straight, but took the moment to rave about the Wen product. She wrote it down…another fan-to-be! Have you used any of Wen’s products? What did you think? P.S. If you have a product you would like me to review, let me know!